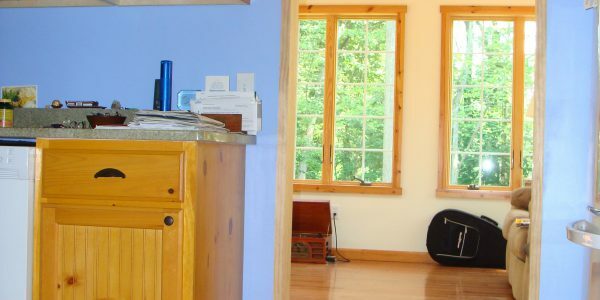 Regan Total Construction: Reliable Contractors for Home Improvement and Renovations in Connecticut. Regan Total Construction build this Wethersfield, CT four season addition with a deck while also providing a complete kitchen renovation. 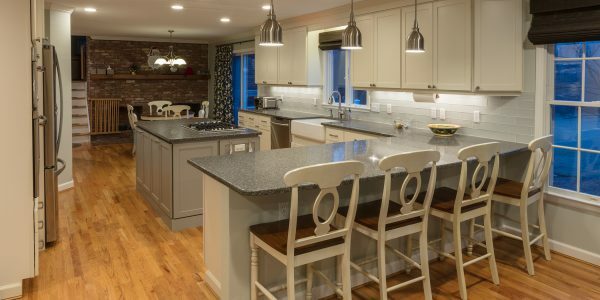 In this kitchen remodel, Regan Total Construction transformed a 1970's kitchen to a modern kitchen with more functional work space and upgraded fixtures. Our initial contract was to remove and replace the bathroom floor. 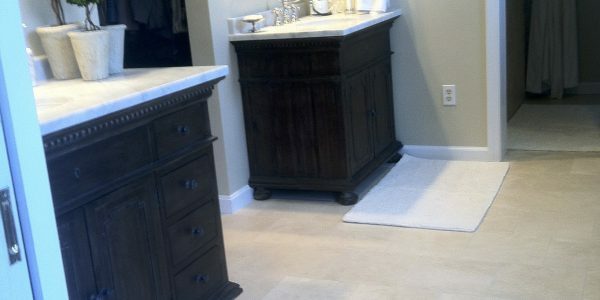 The project expanded with this Simsbury customer as they witnessed the professional installation of their custom floor tile. 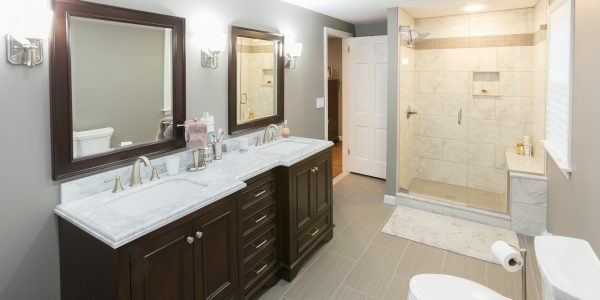 Ultimately, Regan Total Construction provided a complete face lift in the bathroom, upgrading the cosmetics, custom tile and the installation of two new vanities. The customer called on Regan Total Construction to convert two bedrooms and two bathrooms to one master bedroom with a master bathroom. They were so pleased with the work, they had us update their foyer entry tile and refinish the flooring throughout their kitchen and sitting room as well. The client was looking for a more open floor plan and a modern, updated kitchen. 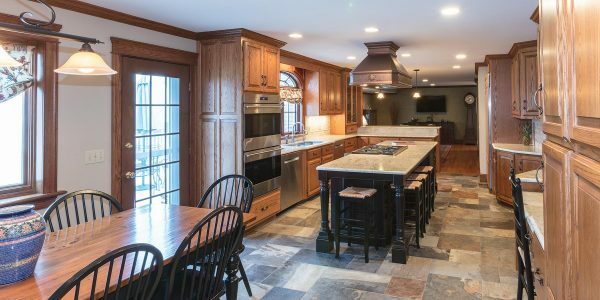 From the tile floor on up to the lighting, Regan Total Construction was able to help with a kitchen remodel that suited their needs. 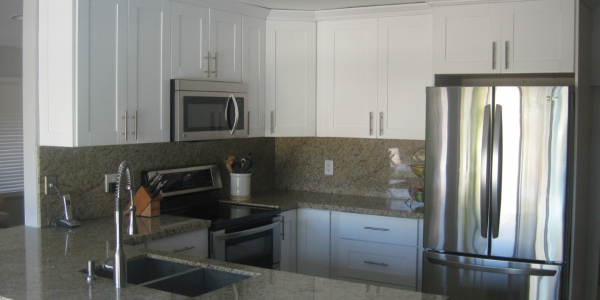 Regan Total Construction was able to freshen this kitchen up while painting the existing cabinetry. We replaced the hood vent, reconfigured the island layout, replaced all of the counter tops as well as the flooring and back splash. 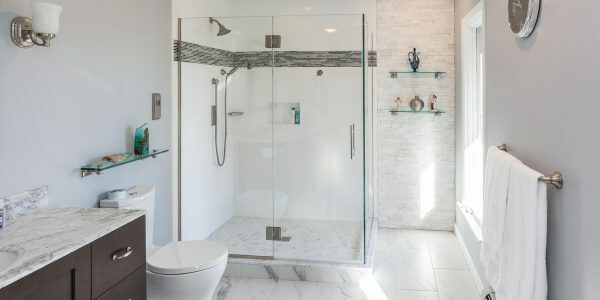 Regan Total Construction was able to deliver on a bathroom renovation that gave the client the upscale new master bathroom they wanted: upgraded amenities like digital water thermostats, custom tiling and pull out vanity drawers that included electrical outlets. 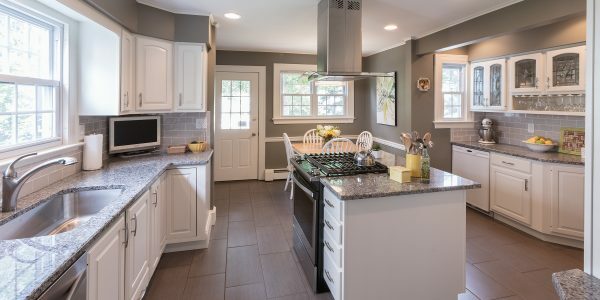 For this West Hartford, CT kitchen remodel Regan Total Construction removed a load bearing wall, replaced a sliding door and window and also installed all new cabinets and countertops. 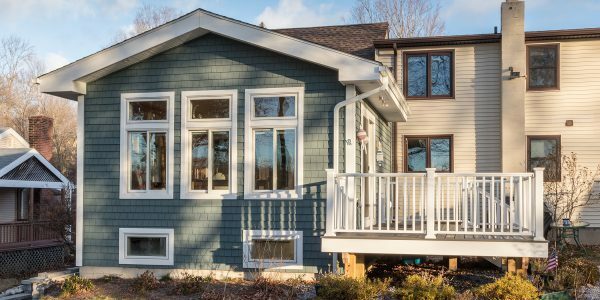 Our client wanted to extend the footprint of their home with a four season addition and a new deck. 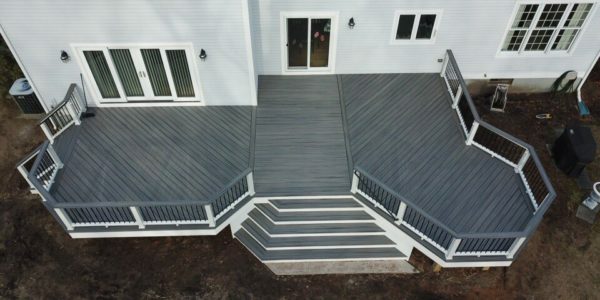 We were able to build the addition and the deck they had proposed with the custom finishes and the natural look and feel they had hoped for while gaining the additional space they required. 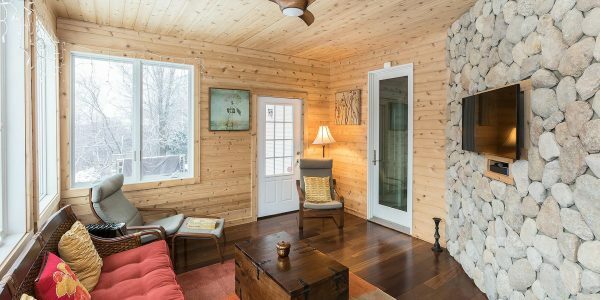 Our client wished to complete their three season porch with new flooring and wall treatments, inset shelving for cable box and TV mount to help expand their usable space.Regan Total Construction was able to provide all the renovation services to meet their finishing needs. The client wanted to renovate their kitchen, to open up the room and increase the natural and working light while creating a more modern and functional space. 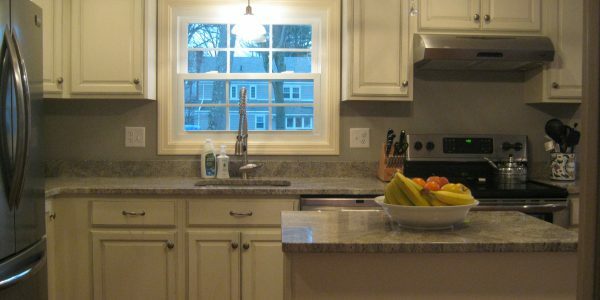 Regan Total Construction was able to help them reconfigure and upgrade their kitchen to meet those goals. 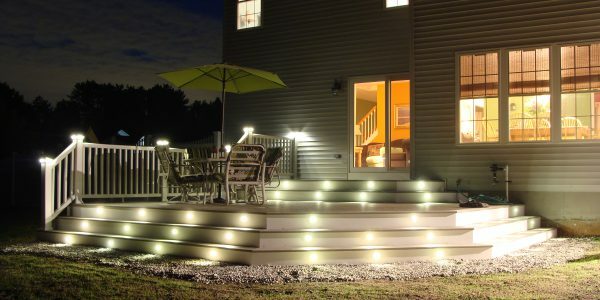 Certified TrexPro© Regan Total Construction designed and built this new Trex deck with lighting for this Broad Brook, CT customer. Regan Total Construction designed and build this gorgeous Trex deck with stairs and railings. 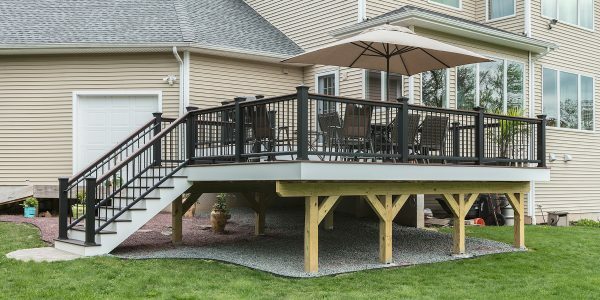 This deck is constructed from the Trex Transcends line in the color Fire Pit with an accent staircase of Woodland brown. The handrails are Trex Aluminum in black and we installed a direct gas line for the grill hook up. 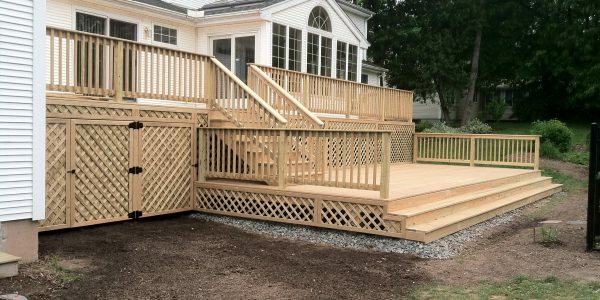 Regan Total Construction built an 850 square foot pressure treated deck for this Windsor, CT customer, creating custom storage areas to meet their needs and custom lattice work to fit in with their design preferences. 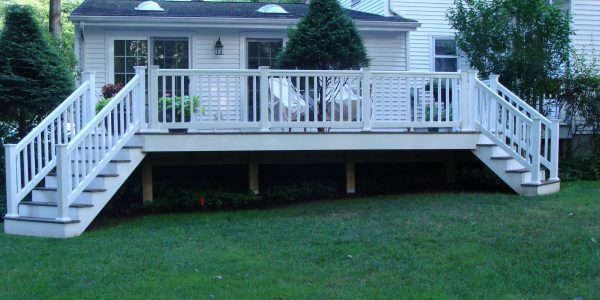 For this Vinyl Deck construction project, Regan Total Construction increased the size of the customers existing deck by 500 sqft using Azek decking, trim and railing products and built the customer custom benches to match.